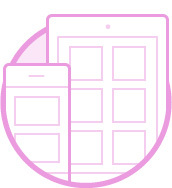 With our 100% secure and electronic application you will complete the first step in the process in just 5 minutes. 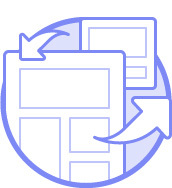 Our encrypted interphase allows you to upload statements on the spot. Simple, secure and eco-friendly! Same day offers are not a problem. 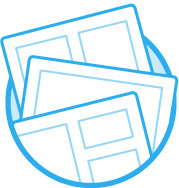 With this extremely efficient system we will have the best offers for you the same day you upload the application! 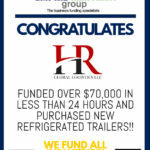 Get funded in 8 hours or less! Our team of experts work diligently and quick for you. All you have to do is cooperate and the money will be in your account in just 8 hours! 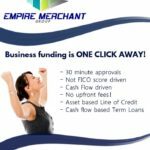 What Exactly Is A Merchant Cash Advance? What are some advantages to a cash advance? Technically, a cash advance is not a loan. 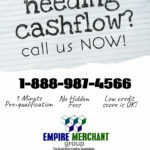 Empire Merchant Group purchases your future credit card sales or deposits at a discounted price today. 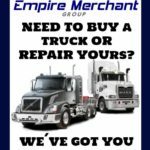 You then pay us back through portions of your daily credit card sales or via daily or weekly auto draws from your business bank account. 1) The money’s there. While the major banks aren’t lending, cash advance lenders most certainly are. 2) No fixed payback. If you have a bad month or two, you simply pay back less of the advance because you’re paying back a percentage of your sales. 3) Cash Advance is fast. Bank loans can take months. 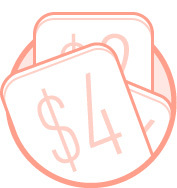 Cash Advances generally take 24-72 hours from application date to funding. 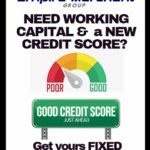 5) No Credit score restrictions! 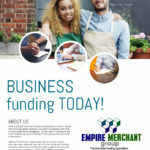 Empire Merchant group helped me with the funds I needed to pay my exployees, they are always there when I need them with advise and quick cash! 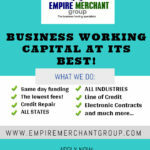 Thanks to Empire Merchant Group I was able to expand my business and add more tables. My annual sales since then have increased by a 40%. Richard is always very helpful and knowleageable. 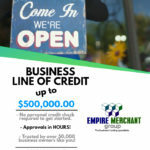 I had been waiting to get approved with the local bank for over 5 months, Then I found Empire Merchant group and was able to build a new Warehouse to store more product. Since then my sales have increased annually from $300,000 to almost $1,000,000.00.